Where is the “go!” button on the render tab in 2.8? So I have a scene in the layout tab, I've gone to the render tab, I've chosen "new image", and I can set dimensions like 1920x1080. But all it does is change the size of a large black box. Where is the button that says "go!" or "render!" that makes it actually render something in the black box that I can then save? 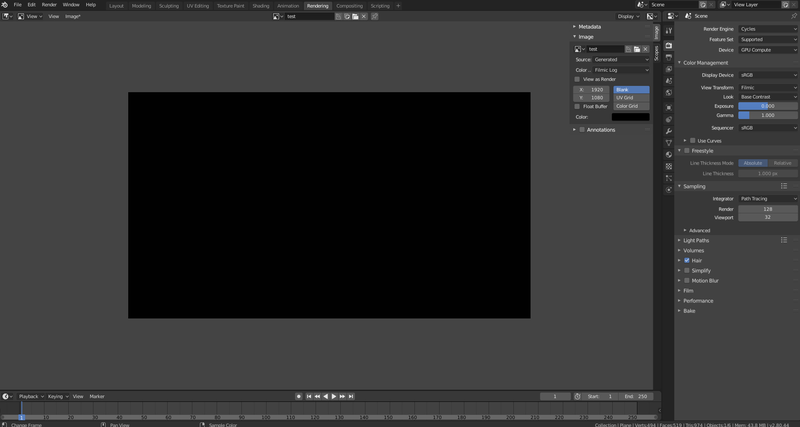 Is a rendering supposed to show in the black box automatically and it just isn't working? Or if there's a button that starts the render where is it? I'm just trying to make one frame render at this point. 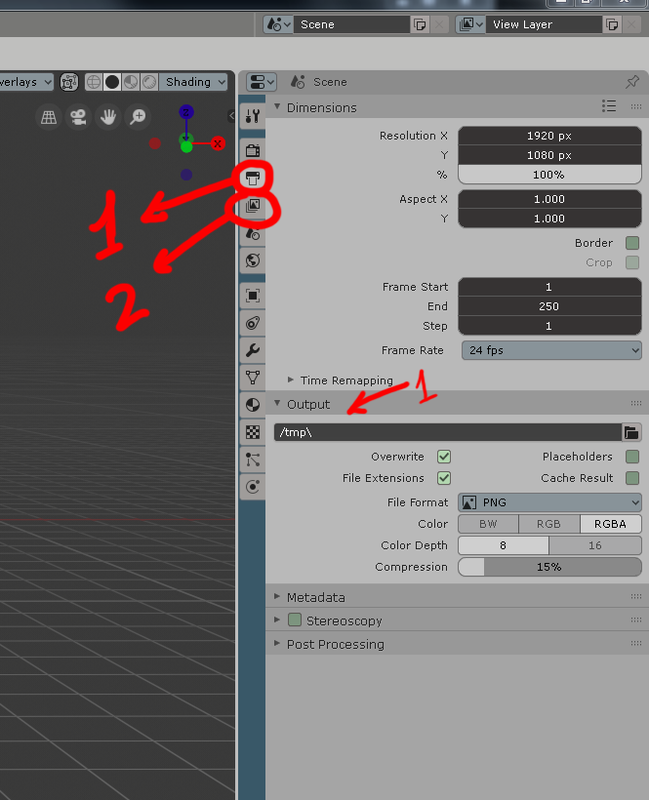 First (1) Setup your size and output Second (2) check your layers ready to be rendered. 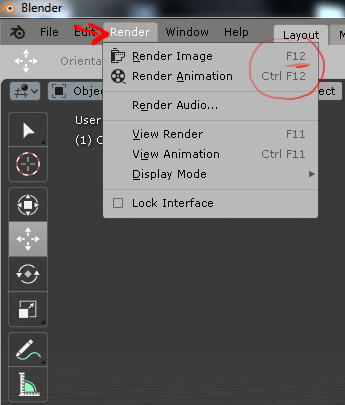 Then go to the Render menu and select Render (F12). This is the default "GO" button on Blender 2.8. I know you´re asking for the big buttons on 2.79, they´re gone. A lot of users on the Blender community are asking for those buttons to be back, you're not the only one. This was a recent change. Why won't this particle system render?